Walt Disney World includes some of the most popular theme parks in the world. The complex is basically its own city in Lake Buena Vista, Florida. It originally opened with Magic Kingdom in 1971, but it has since expanded to include other parks, including water parks. 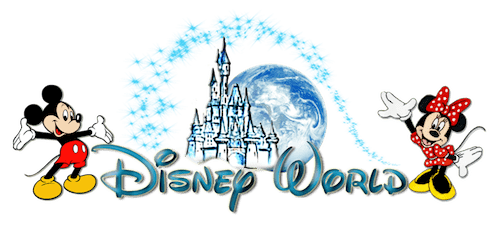 Best Disney World Rides in Each Park 2019. Magic Kingdom is the flagship park in Walt Disney World and opened in 1971. It features iconic sections from Adventureland to Fantasyland. There are classic shows, such as the Carousel of Progress, which Walt Disney had a hand in, and newer rides like the Seven Dwarfs Mine Train. This theme park was opened in 1998, on Earth Day. It is a celebration of animals and conservation. It has lands celebrating the fictional world of Pandora, from the movie ”Avatar,” as well as a section devoted to dinosaurs. The bulk of the park has also exhibits and a safari ride-through. This park was designed as the City of Tomorrow and opened in 1982. It has two major sections: World Showcase and Future World. World Showcase takes you on a walking tour of several countries, including Norway and France. Future World includes attractions highlighting the world, such as Soarin’ Over the World, and space. Hollywood Studios opened in 1989 and has gone through many major changes. As of 2018, it features Pixar film series ”Toy Story” as its newest land. It is also the go-to area for Star Wars fans, featuring the ride Star Tours, as well as character meets with iconic characters including Chewbacca. Disney features two water parks that are open for a large portion of the year, thanks to Florida’s weather. These park, Typhoon Lagoon Water Park, feature a variety of pools and waterslides. Disney features two water parks that are open for a large portion of the year, thanks to Florida’s weather. Enjoy a winter wonderland of splish-and-splash fun right in the middle of summer with Disney’s Blizzard Beach Water Park Tickets! No trip to Disney is complete without stopping at the largely Disney-themed shopping complex, Disney Springs. It features a large LEGO store, restaurants, and specialty shops.